We will in posts to come, continue with the questions in having a look out our relationship to the Evil in the Mind and this World and how it in fact represent/mirror the nature of/as our inherent beingness. For the moment – we’re going to start with having a look at our relationship to the ‘good/love/light/positive’, where we have mentioned in previous posts, how we in fact actually use/have created the ‘good/love/light/positive’ to deny/resist/suppress/ignore the evil/dark/negative/bad in our Minds and in this World. 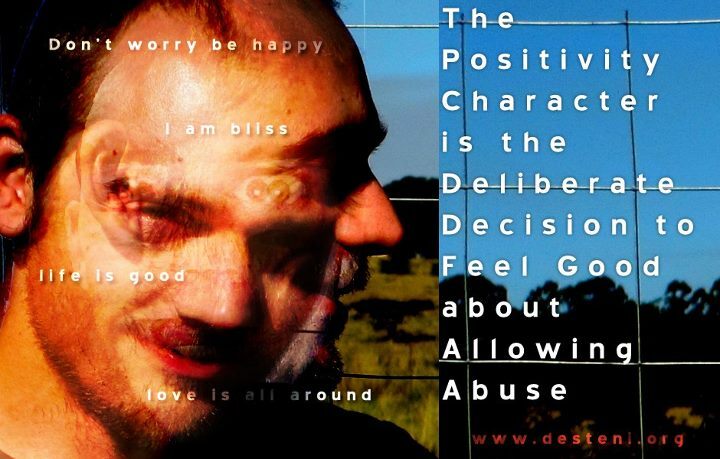 To not take responsibility for the consequence we create in the Mind and in this World, but instead try/attempt to ‘cover it up / abdicate responsibility’, and so Essentially why/how the ‘good/love/light/positive’ is the EVOLUTION OF EVIL in our Minds and this World, because what we’re doing in this ‘good/love/light/positive’ is abdicating our direct responsibility to CONSEQUENCE, and accepting and allowing ourselves to make as though ‘we’re better than our own consequence/creations’ all the while still continuing the abuse, compromise within/as our inherent natured beingness of/as Evil. Who we are in/ with our relationship to ‘Good/love/light/positive’: is in fact the Wolf in Sheep’s clothing, and this is what we’ll explore in this post and posts to come with walking some quotes/sayings/beliefs that exist in this world regarding anything ‘good/love/light/positive’, and how such things do not in fact present a SOLUTION, is in fact the Evolution of Evil as the Wolf in Sheep’s Clothing - is only a cover up for us not wanting to face who we really are and what we’ve done and are still doing in our own Minds, and this World and the consequence it’s creating/manifesting for ourselves and for all. So, interesting, here – it also stands in the context of ourselves as the Wolf, having an ‘identity crisis’ of sorts, that we simply refuse/deny to face the facts of us in fact being the Wolves that have ravaged Life itself and still continue to do so in the Mind’s relationship to the Body and the World System’s relationship to this physical existence and doing this all by/through dressing ourselves up in/as white, fully, beautiful woolly niceness, BUT that still does not change the fact that what/who we are and have become are wolves, within the context of the nature of how wolves are depicted in sheep’s clothing as: deceptive, deliberately evil, conniving. Meaning, that we continue accepting and allowing the Evil in our Minds and this World System, while fluffing it all up with beautiful niceties such as words, and experiences: Never in fact facing the reality of our nature and the consequence our nature in the Mind and as reflected in this World System is creating/manifesting. And we do this EVEN IN OUR OWN MINDS, where we know the evil/dark/negative/bad exist within it, and then we’ll simply shift dimensions into the positive/love/light/good, constantly dressing the nature of ourselves into white feel-good fluffiness. Furthermore within this, an interesting thing has happened, where – we’ve cuddled our Evil into white fluffiness, and then at the same time, blinded ourselves by/through our own veiling/cover-up, where we’re lost in our own self-deception, illusion to such an extent that we’ve made ourselves believe we’re the sheep’s clothing, and not seeing the actual nature of the evil/bad/negative/dark that’s existent as-us and so have not been able to see the direct-consequences we’ve created/manifest for ourselves and this world. So, here – we’re going to start looking at the white-fluffiness, the sheep’s clothing, the good/love/light/positive we’ve been using to cover-up/hide our real inherent nature/beingness of evil/bad/negative/dark, to see, realise and understand the ILLUSION of good/love/light/positive, and how we really can only, change ourselves and this world – with walking through the sheep’s clothing, into and as our real inherent nature/beingness, understand it and change it within the principle of/as what’s best for all, and so best for ourselves in/as equality and oneness here. From here, one will see, realise and understand why/how it is that the ‘sheep’s clothing’ as the good/light/positive/love is in fact the most Evil in/as this existence – because as long as that exist, and we have not in fact changed ourselves, our inherent nature: we will continue deceiving, deluding ourselves and everyone/everything else to the extent where we’d drive this existence and ourselves into extinction, just because we refuse to face the truth, and that again – simply proves our Stupidity, that we’d rather ignore/resist/deny, even to the end of ourselves – our own truth, instead of really simply understanding it, facing it and changing it. I forgive myself that I haven’t accepted and allowed myself to see, realise and understand and investigate the relationship between the FEELING, the energy feeling of Joy, and the EMOTION, the energy emotion of Sorrow within and as the Mind-Physical relationship. Where, with walking the Quantum Mind Series, one will see, realise and understand how the Mind, Energy exist/survive through/within Polarity and the friction/conflict this create. And so, why – we would, as the Mind, accept and allow both the polarities of Emotion and Feeling, such as Sorrow and Joy to exist, because for FEELING, the energy, of Joy to exist = the EMOTION, the energy, of Sorrow has to exist and vice versa. That we would justify the existence of Sorrow, to keep the experience of Joy – because, in the Mind, what we’d do when we hit a negative/a low/a bad, is immediately search for/look for the good/high/positive and then generate MORE ENERGY in/as the Mind, which gives us the experience of ‘moreness’ – but, all we’ve done in the Mind, is that our negative energy hit a particular frequency which we defined as ‘sorrow’, and so now we have to accumulate the energy into and as a frequency that we define as ‘joy’ – both sorrow and joy, in/as their purity, existing as energy, energy of the MIND, which is RESOURCED from/of the Physical Body. In this, I forgive myself that I haven’t accepted and allowed myself to see, realise and understand how, with what we accept and allow within ourselves – we will accept and allow in the without of ourselves. Accepting and allowing poverty, famine, starvation to exist as the Physical Sorrow of/as this physical existence, to accept and allow Elitism to exist as the Physical Joy – with the Physical Sorrow, being caused/manifested by/through no Money, and the Physical Joy, being created by/through an abundance of Money. In reality – creating the negative/bad/low and also the positive/good/high, where we have not seen, realised and understood that we have created/manifested the Evil of/as this World System as a direct-mirror of/as the Evil of the Mind/Consciousness – where, as the Mind, as with the World System, we would continue accepting and allowing the polarities of positive and negative, so that we can continue using these polarities at the benefit of producing more energy within, and more money without, all of it at the sacrifice of the Physical Body, and so this Physical Existence, and actual humans, animal, earth lives. I forgive myself that I haven’t accepted and allowed myself to see, realise and understand – that the Physical Body, the Physical Body in itself, this Physical Existence in itself do not have / do not function in ENERGY, such as joy and sorrow, but that each part of the Physical Body accordingly function in and as an absolute equal and one unit to make it possible for us to BREATHE. So also with Nature, the Animal Kingdom – from the great to the small, that they do not function in polarities of ENERGY such as sorrow and joy, but live out their physical lives according to their position/purpose within this physical existence, that makes life on earth possible. YET, us humans have the audacity to believe that because they do not have defined emotions/feelings of consciousness-‘intelligence’, that they are apparently ‘less than us’. Without seeing, realising and understanding the ABSOLUTE interconnected nature of ALL that is PHYSICAL that is making this existence possible as-is. All that our ‘consciousness-intelligence’ have been able to evolve into, stand within the context of a ‘wolf in sheep’s clothing’, evolving the ‘fluffy whiteness’ we cover ourselves up with, hide within and delude ourselves into and as, while all the while – we’re the species in this existence that is destroying/annihilating and driving everything/everyone into extinction, which here again present a wool-thread of sheep’s clothing: that we’re hiding the true EVIL fact, that – we’re inferior, that we’re destroying/annihilating everything, but presenting a wool-thread of apparent “consciousness intelligence” that makes us superior in/as the Mind. We’ll continue with the Self-Forgiveness and Self Commitments of the wool-thread statement above in the next post.